I wanted to buy these guys. Blonde mules, teamed and ready to plow, they came all the way from”iya”. That was cowboy talk for Iowa. I told Sylvan all about these mules and they they went for $3000 for the pair. He said, “hey I need a new pair mules, you should have gotten them”. Yeah sure, and the trailer would have pulled up and you would have sent them over to the faux farm. They would eat all of Bob’s special green grass and then proceeded to poop all over said lawn. That would not have gone over so well. So I did not buy the mules, maybe next year. 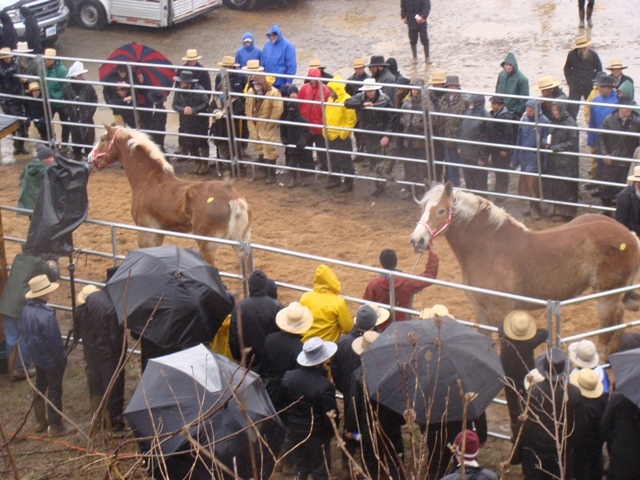 By the way, Sylvan did not go to the auction, it was too cold and wet! He said we were all crazy to go. I drove two of his boys over. The two older boys went in their own buggies. Sylvan Jr, was an auctioneer and he thinks that is what he would like to do if he doesn’t farm. 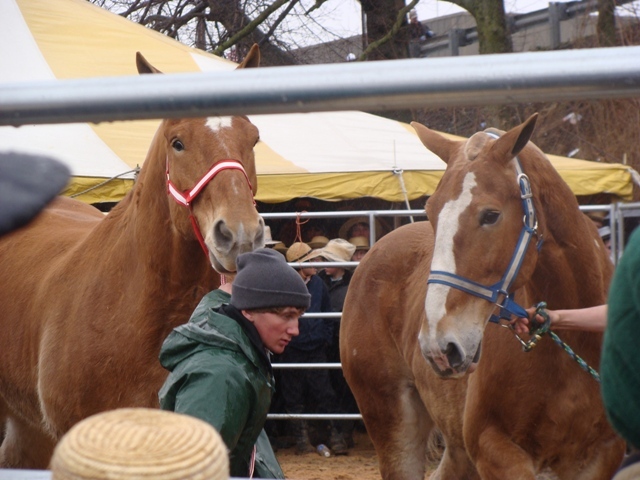 In the meantime here are the photos from the horse auction. 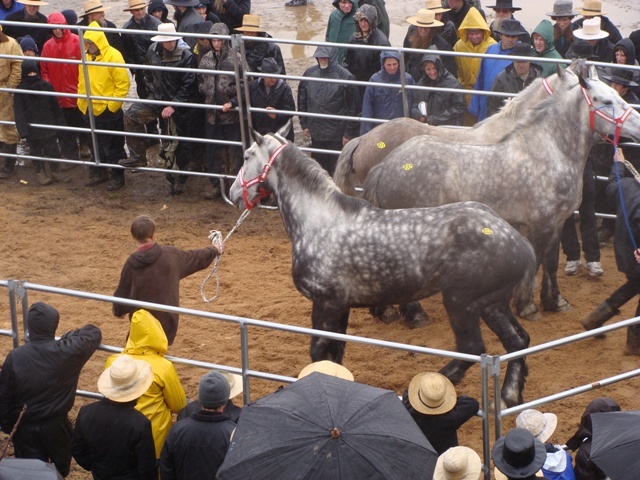 Dapple greys. A team and a single. The pair of mules that I didn’t buy. 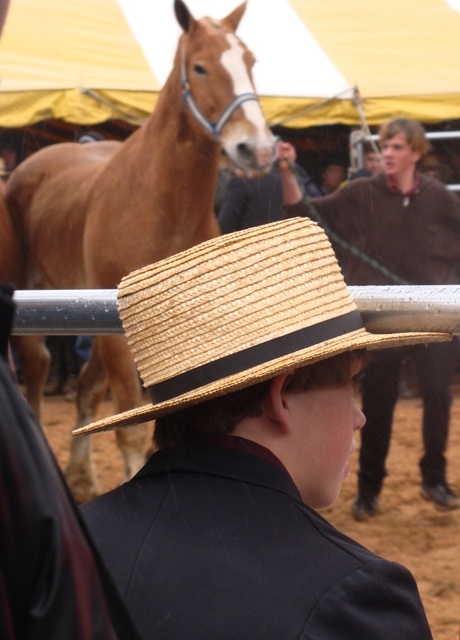 Young Amish boy at the horse auction.